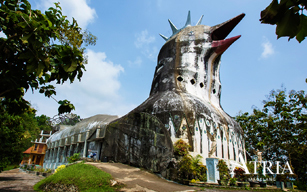 Located in central of Magelang, make it easy to reach. The strategic location would facilitate the guests to find ATM, supermarket, drug stores, a souvenir shop, golf course, and culinary place. 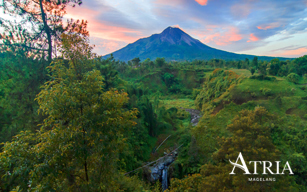 Guests also can visit nearby attraction, such as Taman Kyai Langgeng, shopping centers, temple, museums, Borobudur Temple, Mendut Temple and mountains as Magelang is surrounded by Mount Merapi, Merbabu, and Sumbing. The quality of an old Dutch colonial buildings is un-doubtable. Although the age has reached hundreds of years, but the building is still functioning properly. There are so many old buildings in the city of Magelang. 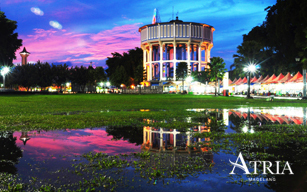 One of them is water tower / water toren [Dutch] / water tower [English] or some people of Magelang call it a giant stove. Borobudur is the Buddhist temple complex in Magelang, dating from the 8th century, considered as one of UNESCO World Heritage Site. 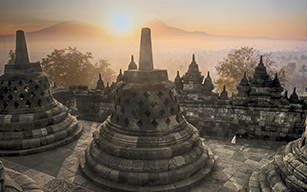 Borobudur is the single largest Buddhist structure in the world. Beautiful scenery to watch the Nirvana Sunrise, the best golden egg yolk ever with the two volcanoes (Merapi Merbabu) besides the sun. 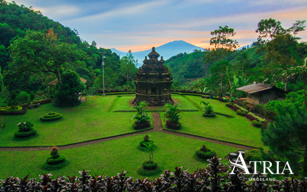 Combine with the mist surrounding Borobudur forest and around the temple. It is a very exotic hill with nice view. This is the trip that matters. Kedung Kayang waterfall is located in Pabelan river flow coming from two mountains namely Merbabu and Merapi mountain. At an altitude of 950 meters above sea level and in the border of Magelang and Boyolali regency. 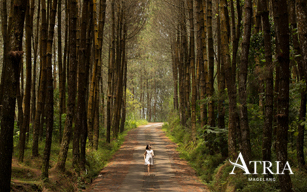 Precisely between Wonolelo village, Sawangan subdistrict, Magelang regency and Klakah village.